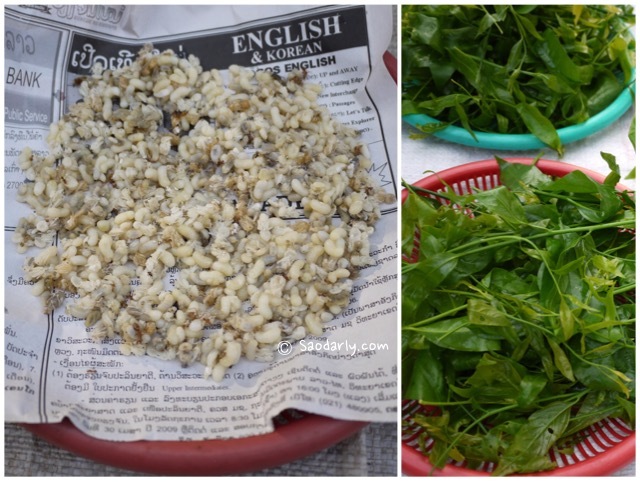 While doing my morning grocery shopping at the Morning Market in Luang Prabang, I found two merchants selling red ant eggs (khai mod daeng ໄຂ່ມົດແດງ) and Pak Wan Vegetable (ຜັກຫວານ) toward the end of the street. 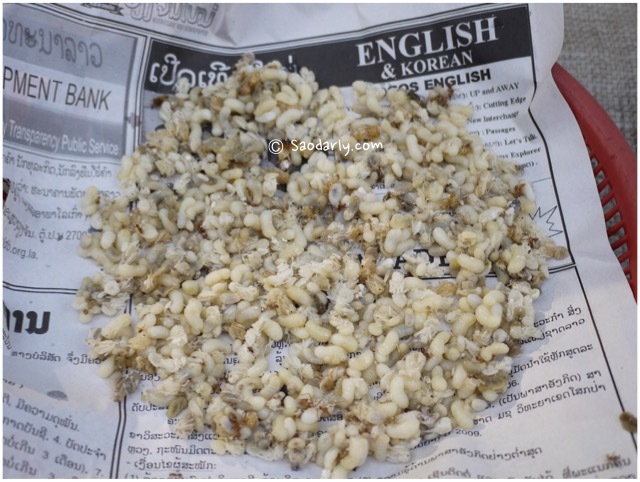 I have eaten ant eggs a few times in Laos and while I am not a big fan of ant eggs, I don’t mind trying them in various Lao food dishes. Pak Wan is literally translates as sweet vegetable in English. Pak means vegetable, Wan means sweet. 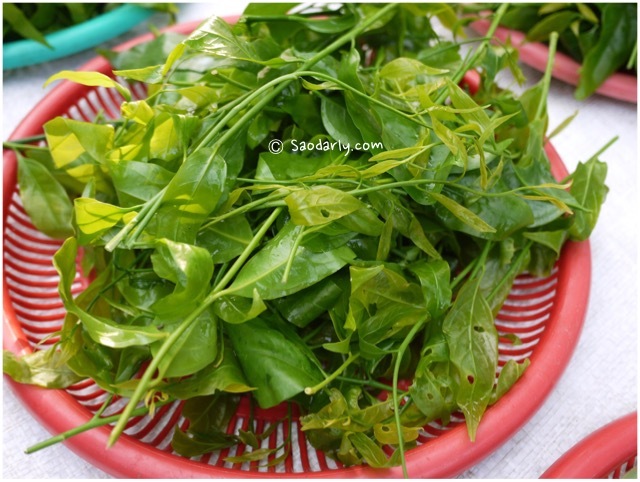 The vegetable has a sweet crunchy taste, good in soup or stir-fry. The ant eggs look so nice and tasty and would make a great ant eggs salad or in fish soup with pak wan vegetable.